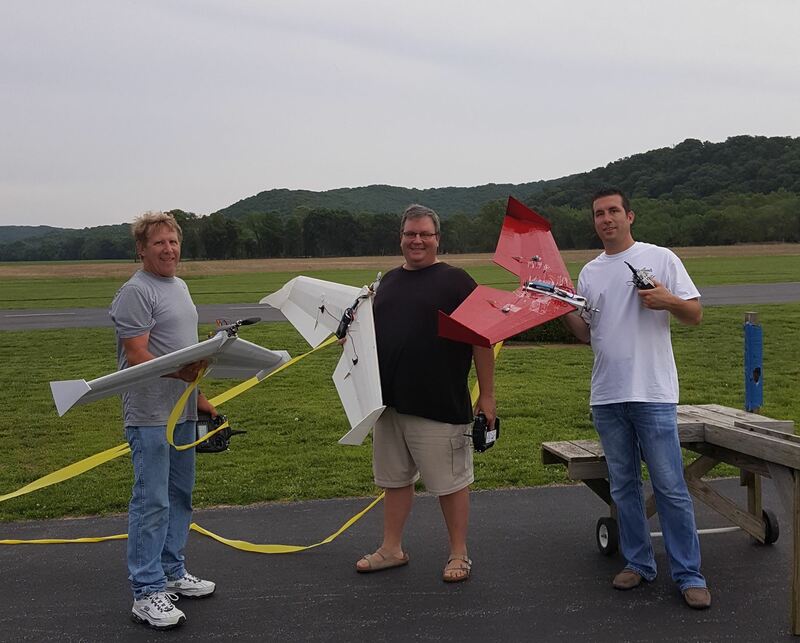 "A thousand bucks of fun in a $60 plane"
In early 2016, the SLRCFA board wanted to create a fun activity that was on the low end of the cost spectrum. Many SLRCFA pilots are blessed to fly expensive planes, but we wanted something that would be fun for anyone who can fly elevator and ailerons, and on a budget. The CombatONE design was born! After investigating dollar store foam board (DSFB) designs on Flitetest.com, we created a two-DSFB-sheet design that uses only hot glue and packing tape to build, and some scrap plywood for the firewall and control horns. The size is right, too... a CombatONE can be powered by any electric motor configuration that flies an 11x5.5 to 11x7 APC style electric propellor. This means reasonable cost for servos, motors and ESCs. In fact, some guys are simply using their wrecked Parkzone T-28 innards to build Combat one, making it almost a free plane. In a phrase, wickedly good. Jonathon Hendrickson, captain of all things electric, says, "This is the best-flying flying wing I have ever flown." (6oz/sq ft) letting you slow it way down. Unlimited vertical is easy to achieve with typical power to weight ratios of 2:1. Even the maiden flights were awesome. We even played around with a 3D version with rudders that could harrier (needed gyro to do it, though). FUN!!! E-mail SLRCFAwebmaster@gmail.com and we'll get you started! Click here to go to the CombatONE forum. CombatONE is a $5 Walmart/Dollar-Store foam board combat wing airframe designed by SLRCFA for our exclusive CombatONE flying times. CombatONE is a design you can build for under $60 all-in, not including batteries. CombatONE can crash and be fixed multiple times, and if you have to rebuild it, it's only $5 for another airframe. Most folks build 2 or 3 the first time. Click here for latest rib template PDF (v 3.1) - you need two per airplane.